Here we are, early May, after a winter most of us would like to forget, bitter cold, ice and snow. How do our local farms survive and recover this early in the spring? It's not magic - it's knowledge, hard work and perseverance. Erik and Birgit Landowne are the farmers at Kimberton CSA, utilizing both organic and biodynamic practices to grow their produce. 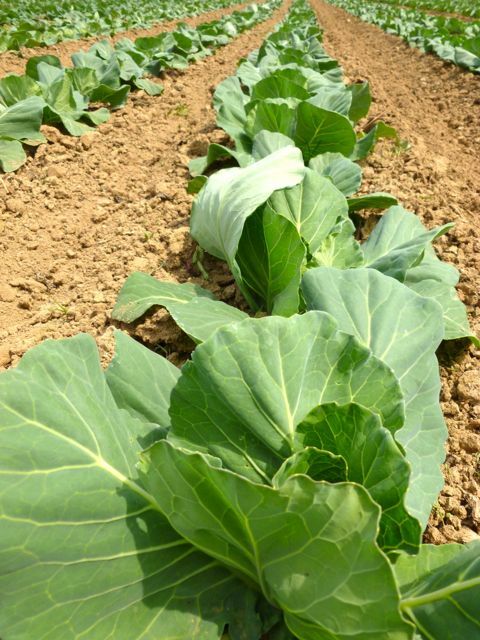 A quick note on what biodynamic farming entails - directly from the Kimberton CSA website. 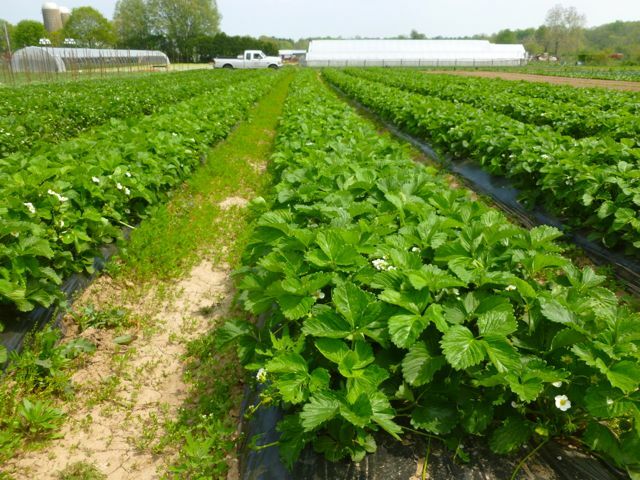 Basically, in addition to following the rules set forth for organic certification and avoiding the use of toxic chemicals for fertility and pest control, specific Biodynamic methods and careful stewardship of the land are practiced to ensure the long-term health of the farm's soil, plants, and animals. My visit to Kimberton CSA made my jaw drop - after the winter we just had their fields are flush with gorgeous produce. Their hightops full to the brim with seedlings waiting to be planted in the fields. Every stitch of space is used in the hightops - carrots grow beneath the growth tables. Tomato plants full of blossoms, tomatoes too. And lettuce, lots of lettuce! Carrots growing beneath the growing tables. Waiting to be planted outside - lots of basil! 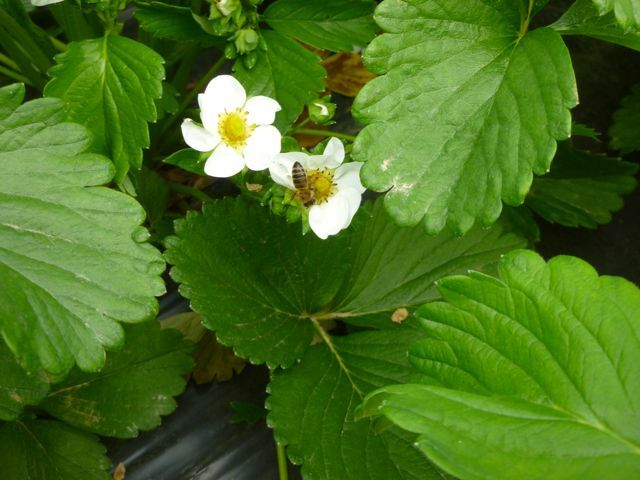 Strawberries in full bloom, buzzing with bees, heavy with berries. 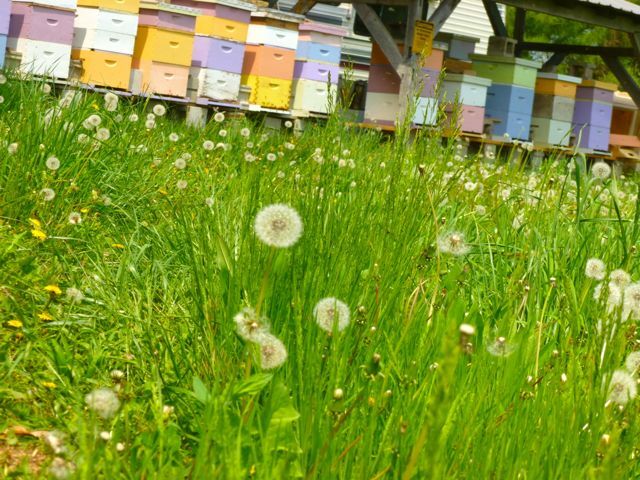 And every bee needs a hive - these hives just happen to have that Key West vibe! Bees doing their part for the strawberries! This will be one big berry! 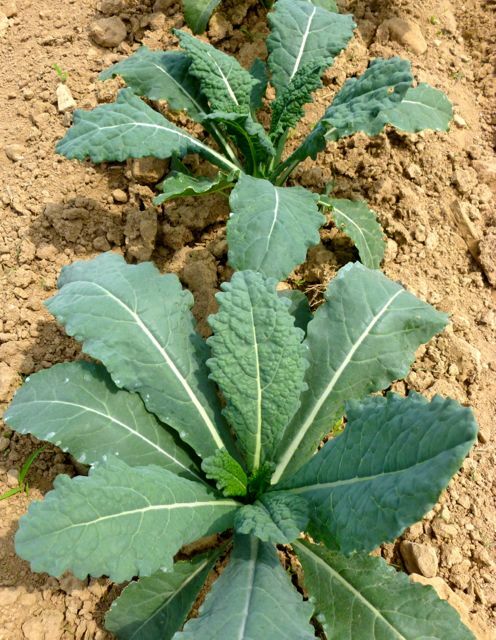 The brassica field planted neatly, row after row of kohlrabi, cabbage, kale of every kind, broccoli. 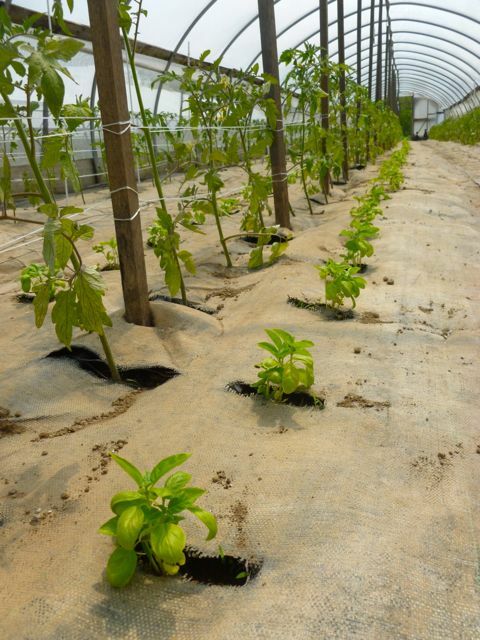 Tomatoes planted in long lines, next to their best friend, basil. 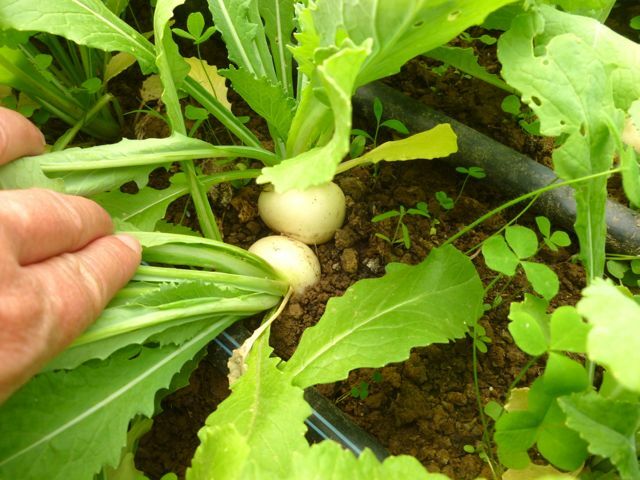 Turnips ready for plucking. 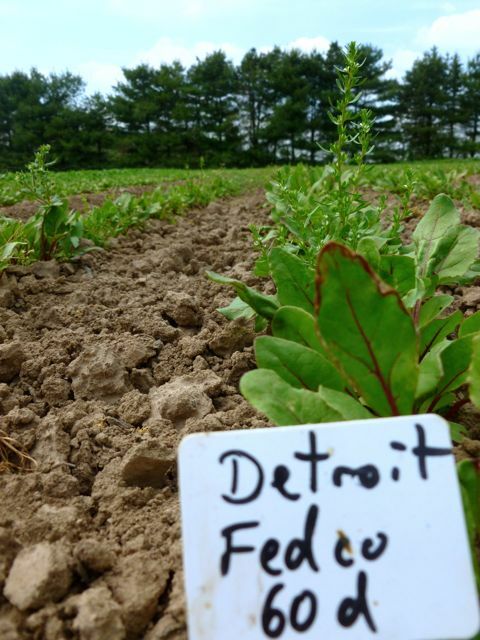 Beets, golden and red getting a strong start in the field. Peas - getting some support! Tomato + Basil = Summer! 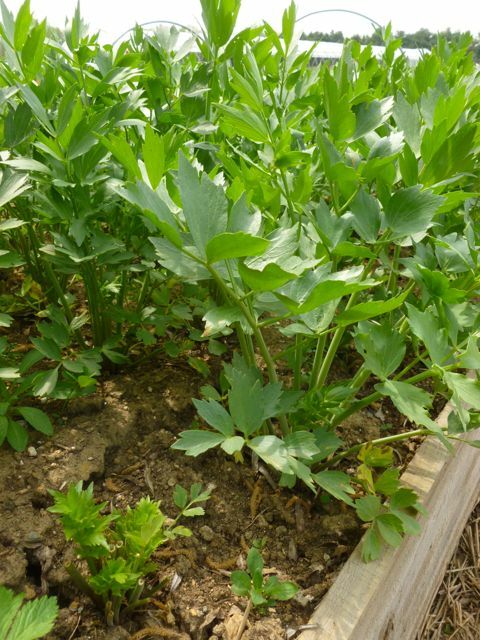 And, coming to market this weekend - lovage. Mild celery flavor with stems that can serve as a straw - impressive in a Mother's Day Brunch Bloody Mary or Pimm's Cup! Next week - more visits to more farms. Stay tuned!